Dear viewers I will show how to use Ajax toolkit html Editor. Normally Editor Content is saved to the database and display this result using label or literal control. But in this case firstly I have taken an Editor then fixed this height and width 400 and 250 respectably. 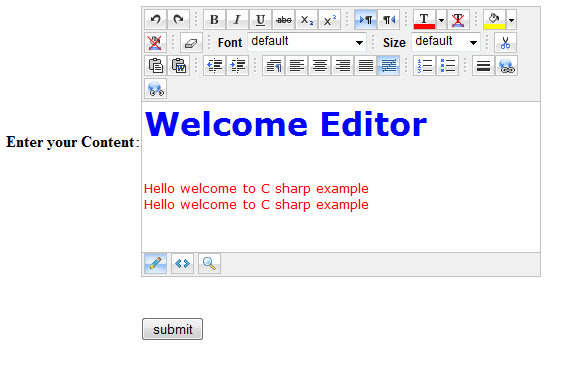 A button Control has been taken to submit the content of the Editor and a label control has been used to display the content of the Editor.